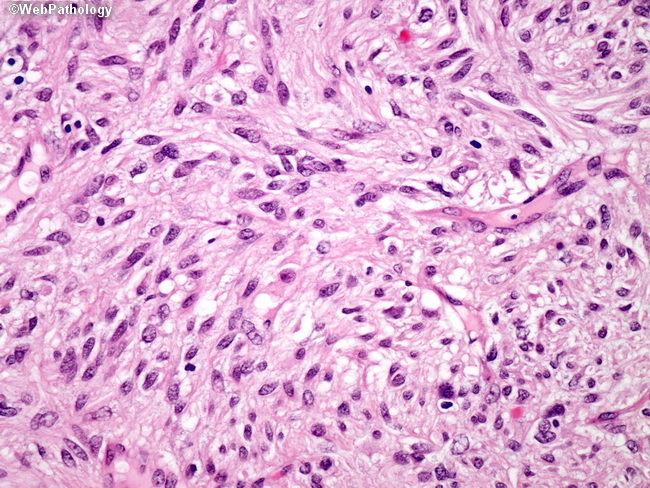 The cells in this lesion appear more plump and atypical compared to the previous case. GISTs are primarily graded based on size and mitotic rate, with tumors < 5 cm and having < 5 mitoses per 50 high-power fields having the lowest risk of progression. Cytoplasmic vacuoles are evident here, which are an artifact of fixation.